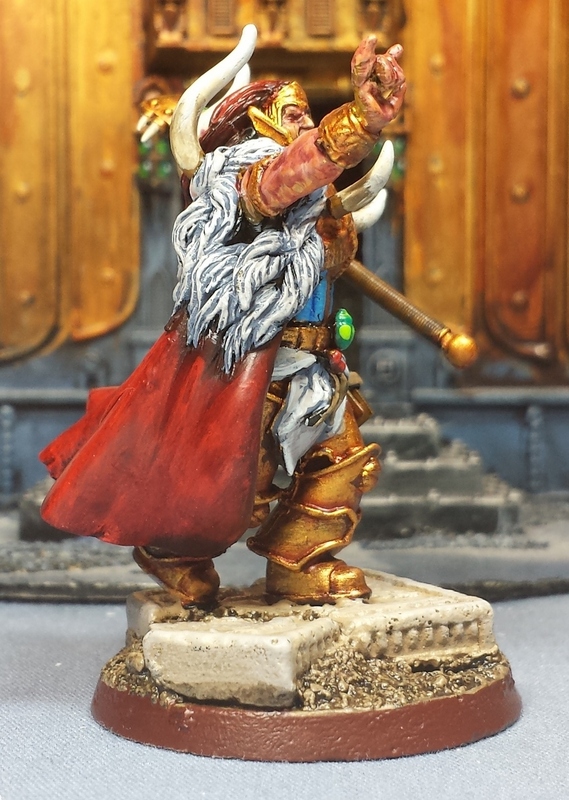 All the main colors have been laid in - went with a very ruddy skin tone substituting a carroburg crimson wash in place of the usual reikland fleshshade, and dwarven flesh rather than bronzed flesh. Didn't want to go cartoon red with his skin, figure that's more apt for his ascendant daemon form. At this point its time to figure out the fine detail. 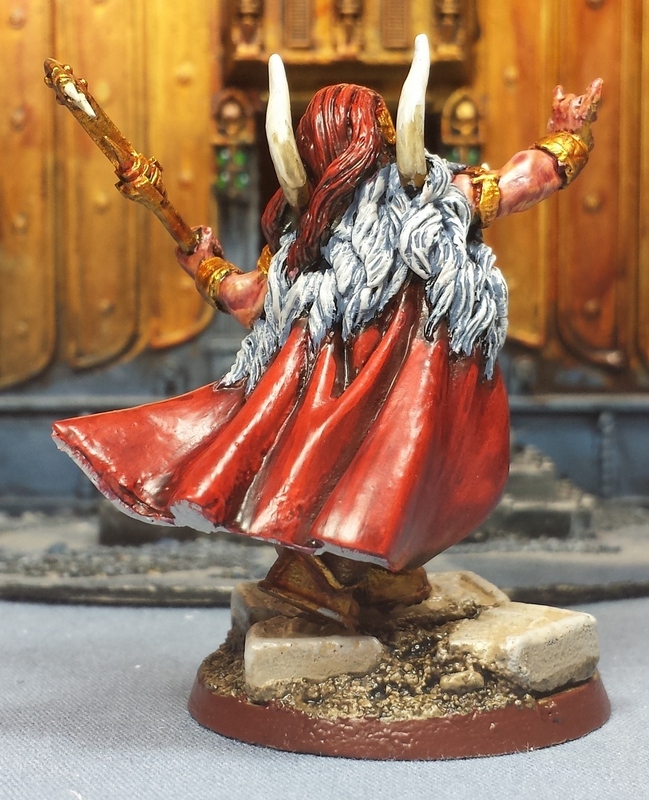 While he's certainly table-ready at this point, I think he'd benefit from some arcane symbols on the outside of the cloak, as well as some sort of design around the hem on the inside. Feels a little bland as-is. Nearly at the finish line though! Working on this model has really got me looking forward to seeing what FW comes up with. 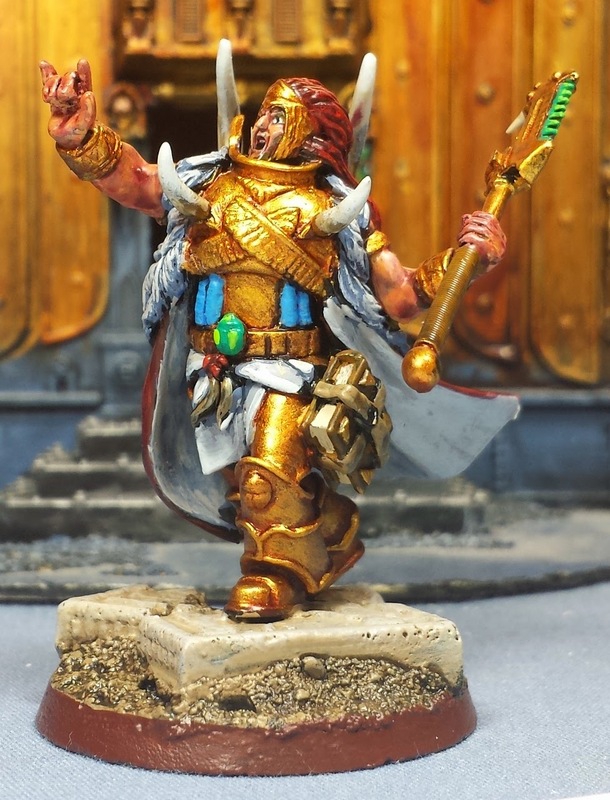 If their previous efforts on the primarchs are any indication, Magnus is going to be stunning! Will say he seems somewhat too gold about the torso? Is there anything extra you could add there to break it up a little? @Zab: Thanks! Definitely coming together! @Dai: Excellent suggestion, perhaps alternating red and bone on the feathers similar to the headdress on Ankhu Anen. Thanks! I'll update 'mincing' to 'operatic'! Just out of curiosity, how would you use him on the table top? Sadly, the 1k Sons don't have 30k rules yet. Ascended Lorgar perhaps? @Stephen: Haha! The hiiiills are alive, with the sound of bolter fire! 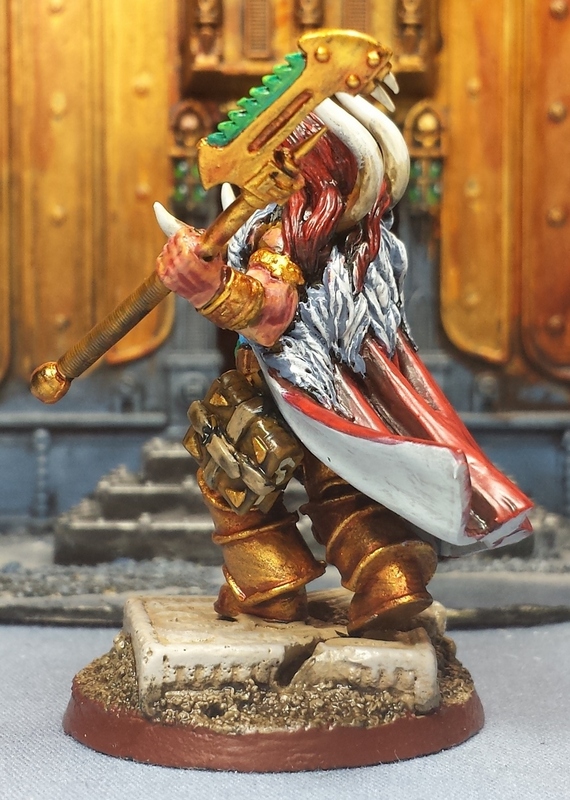 @This Is A Helmet: For the upcoming LVO I'm running my KSons as Word Bearers and using the Lorgar Ascendant for Magnus. 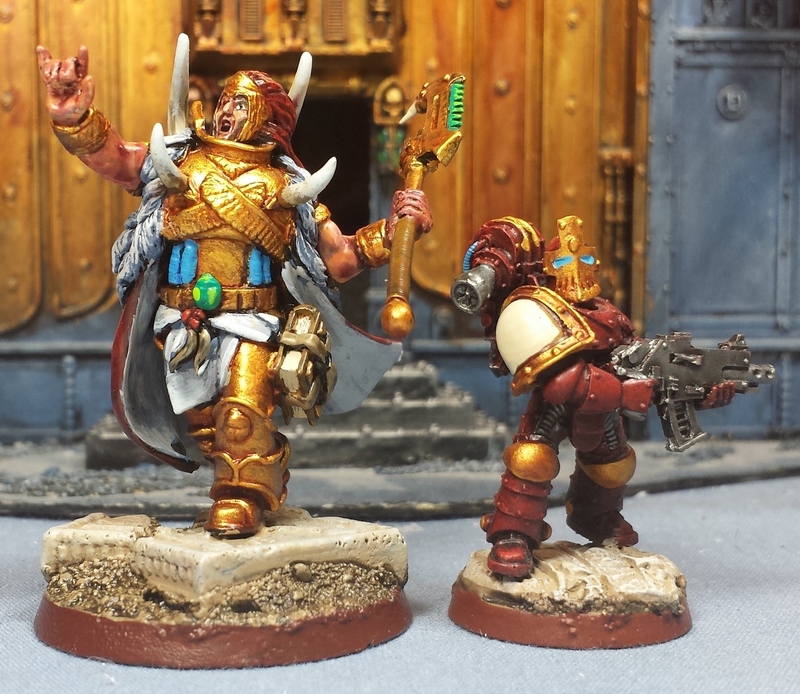 Been dying for real Thousand Sons rules!